Have I given you enough time to think about what the ramifications might be due to the mistake in the Van/Vann family genealogy? I am often asked why I think it is my job to research the ancestry of others who claim to be Cherokee? People who ask me this type of question usually say it is none of my business and the research of others isn't hurting anyone so I should just stay out of it. I think the fallout of this Van/Vann family mistake will make it pretty clear why the things I find in my research are important and how such mistakes CAN hurt the Cherokee people. This is a pretty big "OOPS!" and if I had to think of one word that would describe what this mistake affects, it would be integrity. This mistake affects the integrity of someone who proclaims to be a Cherokee genealogist; someone who claims to be a writer about things Cherokee; and even the integrity of the First Families of the Cherokee Nation. Some people dropped the ball on this one and it is a shame. 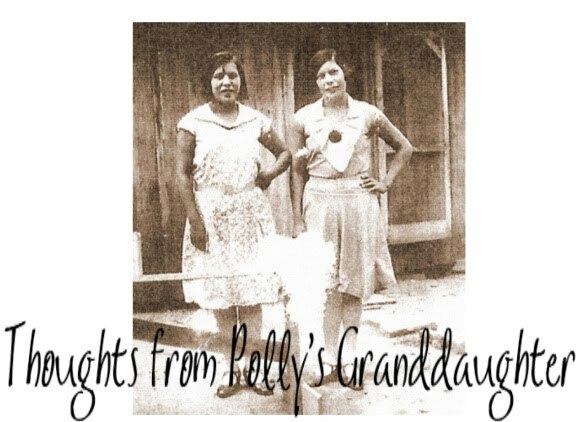 If one is truly a Cherokee genealogist and if one truly writes about things Cherokee and if one is careful about who they approve for the First Families of the Cherokee Nation, then they should have caught this genealogical error, but none of the three did. I have already shown why the Cherokee John Vann claimed by several families cannot possibly be their ancestor. There is no need to rehash that, but if you missed the post, I encourage you to go back and read it. To make a long story short, the Cherokee John Vann was dead and could not have possibly fathered the children he is given credit for today. The evidence and documentation are provided. Now, for the fallout, and how mistakes in Cherokee genealogy, such as this one, can be damaging and harmful to the Cherokee people. There is a man who claims to offer affordable services in Cherokee genealogy. The problem is, his own genealogy is incorrect. His ancestor, John Van/n, was NOT the Cherokee John Vann he claims through. Like I have already shown, it is impossible. But this man has given talks on Cherokee history and genealogy and done "Cherokee" genealogy for others while apparently not being able to do his own genealogy correctly. Scary thing, folks. Something like this not only damages the integrity of the person claiming to be someone they are not, but also the genealogical community. It is important that those who claim to do genealogy feel a responsibility to search for the truth and leave no stone unturned. It didn't happen in this case and therefore, every other piece of genealogical work done by this man is now suspect. This mistake damaged his integrity. This man apparently shares his family story (a myth) with anyone who will listen and, for some reason, people just accept what he claims, no questions asked. His family story made it into the book, "An Oral History of Tahlequah and the Cherokee Nation" by Deborah L. Duvall. On page 34, there is the "family story" titled, "John Vann, the Runaway." If you read the story and read my posts about the real Cherokee John Vann, you will see the story cannot be true, but it got printed in the book anyway. Sharing old legends or lore in a book is one thing, but sharing genealogical information and representing it as true when it is incorrect is another. Once something of a genealogical nature gets printed in a book, people will read it and assume it is true, whether it is or not. Scary thing, folks. Something like this not only hurts the Cherokee genealogical community, but also damages the integrity of the person who willy nilly included it in their book. It is important that those who include family genealogies in their published works feel a responsibility to their readers to provide accurate and truthful information. It didn't happen in this case and therefore, every other piece of published work done by this author is now suspect. This mistake damaged her integrity. As if those two things aren't bad enough, this goes even further. The man who claims to be (but was not) the descendant of the Cherokee John Vann, son of John Shepard Vann and Elizabeth Pack Fields, was accepted into the First Families of the Cherokee Nation based on his "genealogical research." Scary thing, folks. Something like this not only hurts the Cherokee genealogical community, but also damages the integrity of the Cherokee National Historical Society, the First Families of the Cherokee Nation and the Cherokee Heritage Center. It is extremely important that those who claim to be the repository for the Cherokee National Archives and who say they assist Oklahoma Cherokee descendents to reconnect with their lineage get these things right! It didn't happen in this case and therefore, every other person approved for the First Families of the Cherokee Nation is now suspect. This mistake damaged the integrity of the group. This is extremely unfortunate. Now, do you see how one family story not based in truth can get out of hand? These mistakes can lead to some pretty bad things when they get taken to this extent, can't they? This is why I am such a hard nose about Cherokee genealogy and history and why I insist people only claim what they can show through actual documentation. Mistakes in genealogy happen. I understand that. But when three different people/groups make the same mistake, that is no longer a mistake, but instead, irresponsible and/or sloppy work. It took me and one of my fellow researchers two days to obtain all the documentation we needed to disprove this family story. This isn't funny, folks! We have a member of the Association of Professional Genealogists claiming to be Cherokee and doing Cherokee genealogy when he couldn't even get his own genealogy right! We have an author who says they write about the Cherokee people and their history including falsified and incorrect genealogies of white people in their published works that are supposed to be about Cherokee people. And we have the Cherokee National Historical Society and the First Families of the Cherokee Nation approving people who are NOT from Cherokee families. Those things are harmful to the Cherokee people. All it took was one to tell the myth of Cherokee ancestry; one to perpetuate the myth by publishing it; and another to give some sense of authenticity to the myth by approving it for a group that is thought of as truly Cherokee. Then magically (or irresponsibly, in my humble opinion), a Cherokee genealogy was created for a white family. All three of these people/groups should have found the information to show this was a myth before it ever got this far. It is unfortunate they didn't. For all of the posts in the Destroying the Field series, click on this LINK. This series came about after I was notified of the "family story" by a concerned reader who questioned it. I would like to thank that reader for bringing this to my attention. I would also like to thank my research partners who took the time to help gather the documentation needed to show the truth. I always love your articles. The thing is this. 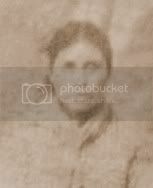 If your ancestry carries a common Cherokee surname, then you most people assume that they or their ancestors must be Cherokee because they have that surname. However, genealogy doesn't work that way and you cannot just make up things along the way. You must be able to prove your lineage beyond a shadow of doubt. At least publish the truth. Like you said, this only hurts future researchers who are honestly hunting up family records. This person should be ashamed of his or herself. This is what I consider a genealogists nightmare! I found this article fascinating! Has the lineage society (if that is actually what it is), First Families of the Cherokee Nation, changed how a member is admitted based on the work you did here? Yes! Things are changing! And old memberships are being re-examined! Thank you for asking.